Saturday 27th September 2014 – 12.50pm – Jamie Arrowsmith. A pedestrian has suffered multiple serious injuries, including a significant head injury, following a collision with a car in Atherstone this morning. West Midlands Ambulance Service was called to Watling Street, Witherley, shortly after 7am this morning and sent an ambulance, a community paramedic and a paramedic area support officer to the scene. An off-duty community paramedic was also on scene to offer additional support. 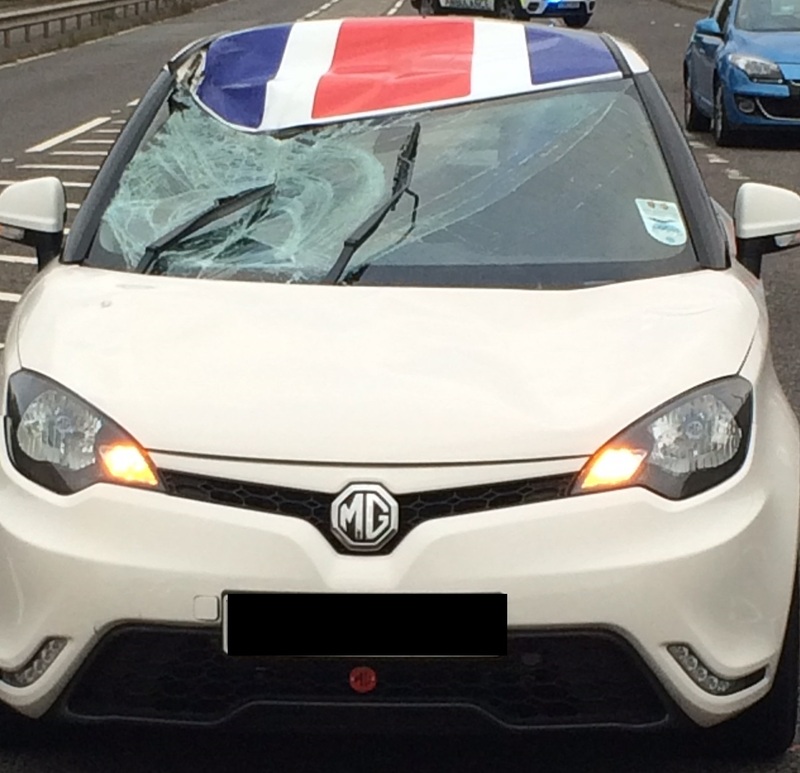 A West Midlands Ambulance Service man said: “Crews arrived to find a pedestrian, a man in his 30s, lying unconscious on the road and a car that had suffered significant damage to the windscreen and roof in the collision. “The man, who remained unconscious throughout, was assessed by ambulance staff and treated for a serious head injury, a broken left leg and suspected fractures to his pelvis and spine. “He was fully immobilised with the use of a neck collar, pelvic splint and scoop stretcher before being transported on alert to the major trauma centre at University Hospital Coventry and Warwickshire. “Emergency medical treatment continued en-route to the hospital but unfortunately the man’s injuries are deemed to be extremely serious. If used, please credit the picture to West Midlands Ambulance Service.